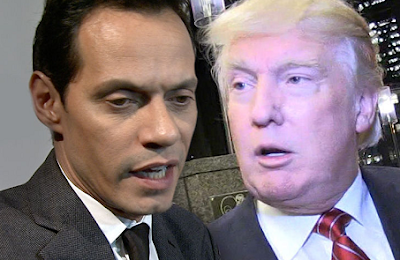 President Trump's under fire from Marc Anthony who's begging the commander-in-chief to turn his attention away from NFL player protests and toward the crisis in hurricane-ravaged Puerto Rico. Marc is pissed off and bluntly called out Trump, saying ..."Mr. President shut the f**k up about NFL. Do something about our people in need in #PuertoRico. We are American citizens too." The singer's anger stems from the humanitarian crisis in the wake of Hurricane Maria. The island's power grid remains crippled, a massive dam is crumbling, hospitals don't have running water and there's extremely limited communication. Marc has joined his ex, Jennifer Lopez's efforts to send aid to the island - but, clearly, he's screaming for POTUS to get on board too. » Did Donald Trump Forget Their National Anthem?